I know I harp on about growing up in the northern hemisphere, it honed my instincts. The weather in December is usually cold and the holly in the hedgerows appears to gleam next to it’s leafless neighbours. 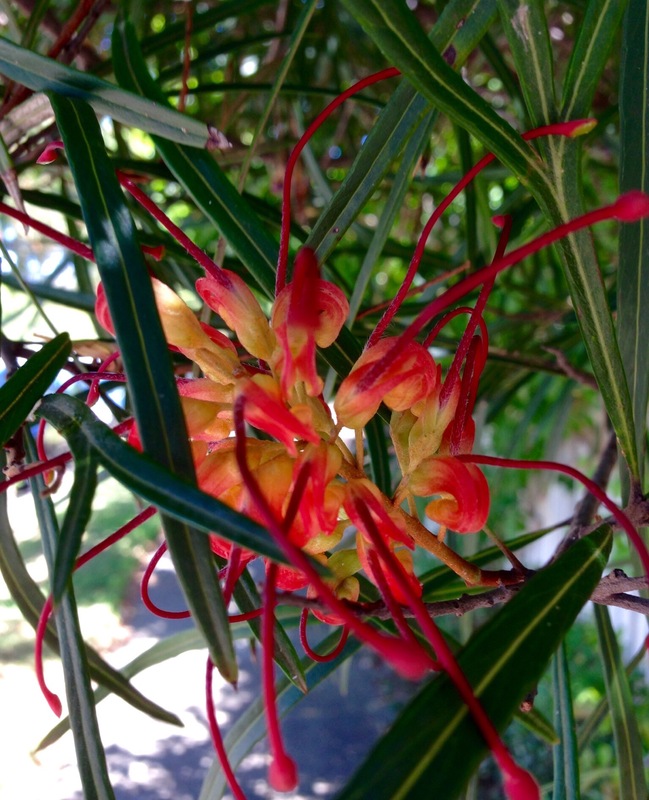 The colours in this grevillea remind me that I count myself lucky to be able to live in Australia, even if traditions associated with Yule don’t suit the climate.